Friday night, at The Delancey, we're performing a special set at 7:30, to open the fantastic Halloween Bash, Scary Monsters/Super Creeps Vol. 4: The Ritualists! 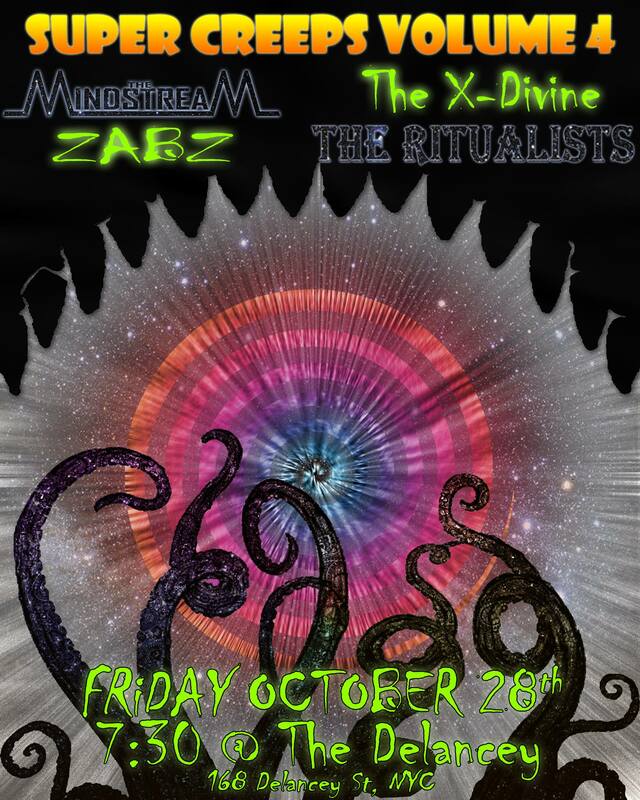 The Mindstream, The X-Divine, Zabz, and The Ritualists!! Costumes are highly encouraged! Come out for a ton of fun and to witness the arrival of Chtulhu! The Mindstream is an original band in NY, fronted by Paul Damon Thomas, with a unique style of prog-pop/space-blues/rock delivered with dynamic performances.